Portsmouth is a port city in Hampshire, England, mainly on Portsea Island, 70 miles (110 km) south-west of London and 19 miles (31 km) south-east of Southampton. It is the United Kingdom's only island city and has a population of 205,400. The city forms part of the South Hampshire built-up area, which also covers Southampton and the towns of Havant, Waterlooville, Eastleigh, Fareham, and Gosport. Her cwom Port on Bretene 7 his .ii. suna Bieda 7 Mægla mid .ii. scipum on þære stowe þe is gecueden Portesmuþa 7 ofslogon anne giongne brettiscmonnan, swiþe æþelne monnan. This was reaffirmed in Winston Churchill's book A History of the English-Speaking Peoples, which relates the story that Portsmouth was founded by Port, the pirate. When King Henry II died in 1189, his son Richard I, who had spent most of his life in France, arrived in Portsmouth before he was crowned in London. When Richard returned from captivity in Austria in May 1194, he summoned a fleet of 100 ships and an army to the port. He granted the town a Royal charter, giving permission for an annual fifteen-day free market fair, weekly markets, and a local court to deal with minor matters, and exempted its inhabitants from paying an annual tax of £18. Richard granted the town the arms of Isaac Komnenos of Cyprus, whom he had defeated during the Third Crusade in 1191, reflecting a significant involvement of local soldiers, sailors, and vessels in the holy war. The 800 anniversary was celebrated in 1994 as the city's founding . In 1759, General James Wolfe sailed from the harbour to Canada on an ill-fated expedition to capture Quebec. His body was brought back to Portsmouth in November that year and received the highest naval and military honours. Two years later, on 30 May 1775, Captain James Cook arrived on board HMS Endeavour after circumnavigating the world. On 13 May 1787, eleven ships left to establish the first European colony in Australia, marking the beginning of prisoner transportation, and in the same year, Captain William Bligh of HMS Bounty set sail from the harbour. After the mutiny on the Bounty on 28 April 1789, the HMS Pandora was dispatched from Portsmouth to bring back the mutineers for trial. The court martial opened on 12 September 1792 on board the HMS Duke in Portsmouth Harbour – of the remaining ten men, three were sentenced to death. In 1789, a chapel was erected in Prince George's Street and was dedicated to St John by the Bishop of Winchester. Around this time, a bill was passed in the House of Commons regarding the creation of a canal to link Portsmouth to Chichester, but the project was abandoned. The city's nickname Pompey is thought to have derived from the log entry "Pom. 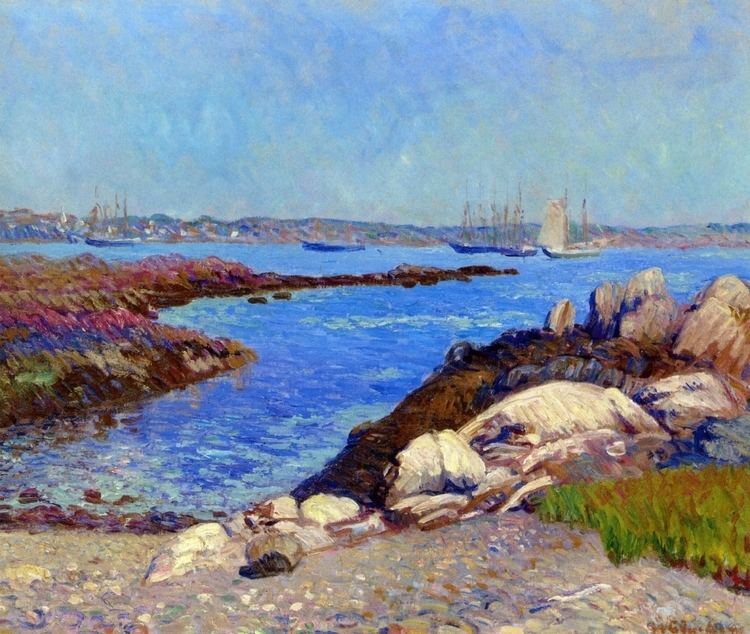 P." (Portsmouth Point) made as ships entered the harbour. Navigational charts use the abbreviation. However, a historian argues that the name Pompey may have been brought back from a group of Portsmouth-based sailors who visited Pompey's Pillar in Alexandria, Egypt, in around 1781. Another theory is that it is named after the harbour's guardship, Pompee, a 74-gun French battleship captured in 1793. In 1805, Admiral Nelson left Portsmouth to command the fleet that defeated the Franco-Spanish at the Battle of Trafalgar. Before departing, Nelson told the crew of the HMS Victory and workers in the dockyard that "England expects every man will do his duty". The Royal Navy's reliance on Portsmouth led to it becoming the most fortified city in the world. A network of Palmerston Forts were built around the town as part of a programme led by Prime Minister Lord Palmerston to defend British military bases from an inland attack. The forts were nicknamed "Palmerston's Follies" due to the fact that their armaments were pointed inland and not out to sea. From 1808 the Royal Navy's West Africa Squadron, tasked with stopping the slave trade, operated out of Portsmouth. In April 1811 the Portsea Island Company constructed the first piped water supply to upper and middle class houses. It supplied water to approximately 4500 of the 14,000 houses, generating an income £5000 a year. HMS Victory's active career ended in 1812, when she was moored in Portsmouth Harbour and used as a depot ship. The town of Gosport contributed £75 a year towards the ship's maintenance. In 1818, John Pounds began teaching working class children in the country's first ragged school. In 1820, the Portsea Improvement Commissioners installed gas street lighting throughout the town, followed by Old Portsmouth three years later. Portsmouth Harbour was a vital military embarkation point for the D-Day landings on 6 June 1944. Southwick House, just to the north of the city, was the headquarters of the Supreme Allied Commander, US General Dwight D. Eisenhower. On 15 July 1944 an experimental V-1 flying bomb hit Newcomen Road, killing 15 people. On 2 April 1982, Argentine forces invaded two British territories in the South Atlantic: the Falkland Islands and South Georgia and the South Sandwich Islands. The British government's response was to dispatch a naval task force, and on 5 April, the aircraft carriers HMS Hermes and HMS Invincible with sailed from Portsmouth for the South Atlantic. The successful outcome of the war had reaffirmed Portsmouth's significance as a naval port and importance to the defence of British interests. In January 1997, Her Majesty's Yacht Britannia embarked from the city on her final voyage to oversee the transfer of sovereignty over Hong Kong, which marked for many the end of the empire. She was later decommissioned on 11 December that year at Portsmouth Naval Base in the presence of the Queen, the Duke of Edinburgh, and twelve senior members of the Royal Family. In 2001, redevelopment of the HMS Vernon naval shore establishment began as a complex of retail outlets, clubs, pubs, and a large shopping centre known as Gunwharf Quays. In 2003, construction of the 552 feet (168 m) tall Spinnaker Tower began at Gunwharf Quays with sponsorship from the National Lottery. In late 2004, the Tricorn Centre, dubbed "the ugliest building in the UK" by the BBC, was demolished after years of debate over the expense of demolition, and controversy as to whether it was worth preserving as an example of 1960s brutalist architecture. It was designed by Owen Luder as part of a project to "revitalise" Portsmouth in the 1960s, consisting of a shopping centre, market, nightclubs, and a multi-storey car park. In 2005 the city celebrated the 200th anniversary of the Battle of Trafalgar, with Queen Elizabeth II being present at a formal fleet review and a staged mock battle. The naval base continues to be home to two-thirds of the surface fleet. By road, Portsmouth lies 73.5 miles (118.3 km) from Central London, 49.5 miles (79.7 km) west of Brighton, and 22.3 miles (35.9 km) east of Southampton. Portsmouth is situated primarily on Portsea Island and is the United Kingdom's only island city, although parts of it have expanded onto the mainland in recent years. Gosport forms a borough in its own right immediately to the west. The island is separated from the mainland by Portsbridge Creek which is crossed by three road bridges (the M275 motorway, the A3 road, and the A2030 road), a railway bridge, and two footbridges. Portsea Island, which forms part of the Hampshire Basin, is low-lying: the majority of its surface area on the island is less than 3 metres (9.8 ft) above sea level. The highest natural elevation on Portsea Island is the road junction Kingston Cross, at 21 feet (6.4 m). Old Portsmouth forms the oldest part of the city in the south-west part of Portsea Island, and includes Portsmouth Point and the historic waterfront area known as Spice Island. The main channel entering Portsmouth Harbour, which lies to the west of Portsea Island, passes between Old Portsmouth and Gosport. Within Portsmouth Harbour are a series of lakes, including Fountain Lake near the harbour, Portchester Lake in the central south, Brick Kiln Lake and Tipner to the east, and Bombketch and Spider Lakes to the west. In the channel further to the northwest, around Portchester, are Wicor, Cams, and Great Cams Lakes. The large tidal bay of Langstone Harbour lies to the east of Portsea Island. In the northern part, off the coast of Farlington, is the Farlington Marshes, a 125-hectare (308-acre) grazing marsh and saline lagoon. One of the oldest local reserves in the county, built from reclaimed land in 1771, it provides an important habitat for migratory wildfowl and waders. To the south of Portsmouth are the waters of Spithead and the wider Solent, which connects Portsmouth Harbour and the Isle of Wight. The southern waterfront of the city is dominated by a series of fortifications including the Round Tower, the Square Tower, and Southsea Castle. The seaside resort of Southsea is situated to the south of Portsea Island, and to the east lies the area known as Eastney. Eastney Lake covered nearly 170 acres (69 hectares) in 1626. To the north of Eastney is the residential district of Milton and an area of reclaimed land now known as Milton Common (formerly Milton Lake), described as a "flat scrubby land with a series of freshwater lakes". Further north on the east coast is the residential district of Baffins, featuring Great Salterns recreation ground and golf course, which forms an area around Portsmouth College. The city is predominantly white in terms of ethnicity, with 91.8% of the population belonging to this ethnic group. Portsmouth's long association with the Royal Navy means that it represents one of the most diverse cities in terms of the peoples of the British Isles. Similarly, some of the largest and most well-established non-white communities have their roots with the Royal Navy, most notably the large Chinese community, principally from British Hong Kong. Portsmouth's long industrial history in support of the Royal Navy has seen many people from across the British Isles move to Portsmouth to work in the factories and docks, the largest of these groups being Irish Catholics. According to 2011 census, the ethnic breakdown of Portsmouth's population is as follows: 84.0% White British, 3.8% Other White, 1.3% Chinese, 1.4% Indian, 0.5% Mixed-Race, 1.8% Bangladeshi, 0.5% Other ethnic group, 1.4% Black African, 0.5% White Irish, 1.3% Other Asian, 0.3% Pakistani, 0.3% Black Caribbean and 0.1% Other Black. The city is administered by Portsmouth City Council, a unitary authority which is responsible for local affairs. Portsmouth was granted its first charter in 1194. In the early 20th century, the boundaries were extended to include the whole of Portsea Island; they were further extended in 1920 and 1932, taking in areas of the mainland and adjacent villages which included Drayton and Farlington. From 1 April 1974 it formed the second tier of local government below Hampshire County Council; however, Portsmouth, along with Southampton, became administratively independent of Hampshire with the creation of the unitary authority on 1 April 1997. The city is divided into two parliamentary constituencies, Portsmouth South and Portsmouth North, represented in the House of Commons by, respectively, Stephen Morgan and Penny Mordaunt, of the Labour Party and Conservative Members of Parliament. The city council is made up of 42 councillors. After the May 2014 local elections, the Conservatives formed a minority administration with just 12 councillors. The largest party within the council is the Liberal Democrats with 19 councillors (including the Lord Mayor). The other parties represented in council are the UK Independence Party (UKIP) and Labour, with five and four Councillors, respectively. There are also two independent councillors, Eleanor Scott (elected as a Liberal Democrat) and Paul Godier (elected as UKIP). Councillors are returned from 14 wards, with each ward having three councillors and a four-year term. The leader of the council is the Conservative Donna Jones. The position of Lord Mayor of Portsmouth is usually held for a one-year period. A tenth of the city's workforce is employed at Portsmouth Naval Dockyard, which is directly linked to the city's biggest industry, defence, with the headquarters of BAE Systems Surface Ships located in the city. BAE's Portsmouth shipyard has been awarded a share of the construction work on the two new Queen Elizabeth class aircraft carriers, with both aircraft carriers set to enter Portsmouth Harbour upon completion. A £100 million contract was signed to develop the facilities at Portsmouth that will be necessary to support the vessels. There is also a major ferry port that handles both passengers and cargo, and the city has a dedicated fishing fleet consisting of 20 to 30 boats that operate out of the camber docks in Camber Quay, Old Portsmouth. 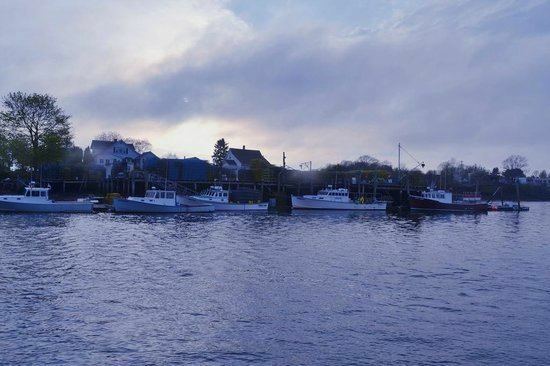 They land fresh fish and shellfish daily, most of which is sold at the quayside fish market. The city is host to the European headquarters of IBM and the UK headquarters of Zurich Financial Services. In the city centre, shopping is centred on Commercial Road and the 1980s Cascades Shopping Centre, with over 100 high street shops between them. Approximately 185,000 to 230,000 people use the Cascades Shopping Centre each week. Recent redevelopment has created new shopping areas, including the upmarket Gunwharf Quays—a redevelopment of the HMS Vernon naval shore establishment— containing fashion stores, restaurants, and a cinema, and the Historic Dockyard, which caters to the tourist sector and holds an annual Victorian Christmas market. Ocean Retail Park sits on the north-eastern side of Portsea Island and was built on land previously occupied by a Metal Box factory in September 1985. Development at Gunwharf Quays continued until 2007 with the completion of the 330 feet (100 m) tall No. 1 Gunwharf Quays residential tower (nicknamed 'Lipstick Tower'). The development of the former Brickwoods Brewery site included the construction of a 22-storey tower known as the Admiralty Quarter Tower, the tallest in a complex of mostly low-rise residential buildings. 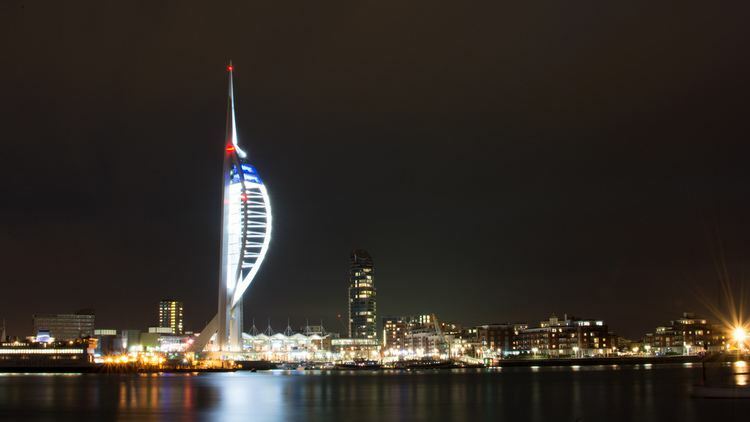 A new 25-storey tower named 'Number One Portsmouth', was made public at the end of October 2008, which has been proposed at a height of 330 feet (100 m), and will stand opposite Portsmouth & Southsea Station. As of August 2009, internal demolition has started on the building that currently occupies the site. A new student accommodation tower, nicknamed 'The Blade', has started construction on the site of the old Victoria swimming baths, on the edge of Victoria Park. 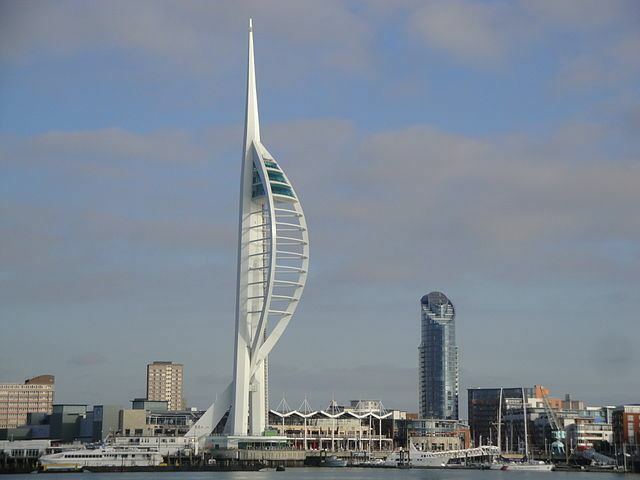 The tower will stand over 300 feet (91 m), and will become Portsmouth's second tallest structure after the Spinnaker Tower. Portsmouth hosts yearly remembrances of the D-Day landings, which veterans from Allied and Commonwealth nations attend. The city played a major part in the 50th D-Day anniversary in 1994; visitors included then-US President Bill Clinton, Australian Prime Minister Paul Keating, King Harald V of Norway, French president François Mitterrand, New Zealand Prime Minister Jim Bolger, Canadian Prime Minister Jean Chretien, Prime Minister John Major, the Queen and the Duke of Edinburgh. The Portsmouth International Kite Festival is organised annually by Portsmouth City Council and The Kite Society of Great Britain. It celebrated its 25th anniversary in 2016. The city's post-1992 university, the University of Portsmouth, has 20,000 students on campus as of 2016. The university was ranked among the top 100 modern universities in the world in April 2015. As of 2013, the university had approximately 23,000 students and more than 2500 staff. Several local colleges also have the power to award Higher National Diplomas, including Highbury College, which specialises in vocational education, and Portsmouth College, which offers various academic courses in the city. Both Admiral Lord Nelson School and Miltoncross Academy were built in the late 1990s to meet the demand of a growing school-age population. Many of the city's former defences are now museums, or venues for hosting events. Several of the Victorian era forts on Portsdown Hill are now tourist attractions: Fort Nelson, which lies on the summit of Portsdown Hill, is home to the Royal Armouries museum. The Tudor era Southsea Castle has a small museum, and much of the seafront defences leading up to the Round Tower are open to the public. The castle was withdrawn from active service in 1960 and was subsequently purchased by Portsmouth City Council. The southern part of the Royal Marines' Eastney Barracks is now the Royal Marines Museum, and was opened to the public under the National Heritage Act 1983. The museum was awarded a £14 million grant from the National Lottery Fund, and is set to relocate to the Portsmouth Historic Dockyard in 2019. The birthplace of Charles Dickens at Mile End Terrace, is now the Charles Dickens Birthplace Museum. The two-storey red brick building became a Grade I listed building in 1953. Other tourist attractions include the Blue Reef Aquarium, which houses an "underwater safari" of aquatic life in Britain, and Cumberland House Natural History Museum, which features a variety of wildlife featured in the area. Most of the city's landmarks and tourist attractions are related to its naval history. Among the attractions are the D-Day Museum and the adjacent Overlord embroidery in Southsea, which was awarded a grant of £4 million by the Heritage Lottery Fund to expand it in time for 2019. The museum's embroidery is 83 metres (272 ft) long, making it the longest of its kind in the world. 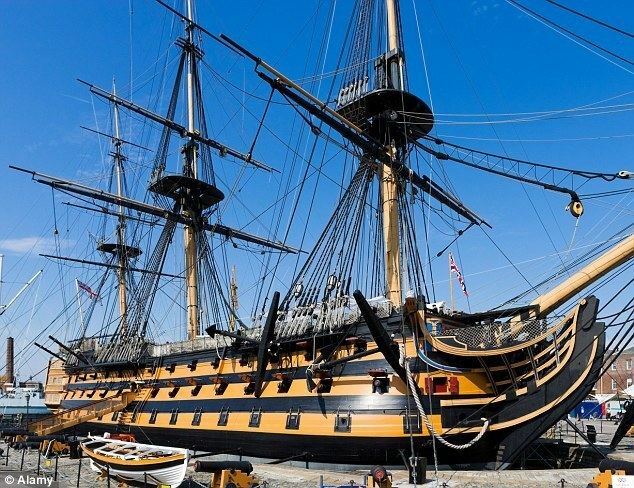 The city is home to some famous ships: in the dry dock of Portsmouth Historic Dockyard lies Horatio Nelson's flagship, HMS Victory, the world's oldest naval ship still in commission. HMS Victory was preserved for the nation and placed in permanent dry dock in 1922, when the Society for Nautical Research led a national appeal to restore her. 22 million people have visited her since. In 1971, the remains of Henry VIII's flagship, the Mary Rose, was rediscovered on the seabed. She was raised and brought into a purpose-built structure in Portsmouth Historic Dockyard in 1982. Britain's first iron-hulled warship, HMS Warrior, was restored and moved to Portsmouth in June 1987 after serving as an oil fuel pier at Pembroke Dock in Pembrokeshire for fifty years. The National Museum of the Royal Navy is also in the historic dockyard, and is sponsored by an independent charity which aims to promote research into the history and archaeology of the Royal Dockyard. Every November the Historic Dockyard hosts the Victorian Festival of Christmas, which features a traditional green-coloured Father Christmas. Clarence Pier was officially opened in 1861 by the Prince and Princess of Wales, and was named after the once military governor of Portsmouth, Lord Frederick FitzClarence. At the time of its opening, the pier was labelled as "one of the largest amusement parks on the south coast". South Parade Pier was built in 1878 and is among the 55 remaining private piers in the United Kingdom. The pier was originally used as a terminal for ferries travelling to the Isle of Wight, but it was soon redeveloped as a centre of entertainment. It had to be rebuilt after the first fire in 1904, and rebuilt again after the second fire in 1967. The third fire struck during filming of The Who's concert in 1974, after which it was rebuilt once again. In 2015, plans were unveiled to build the "Solent Eye" at the pier, an amusement ride with 24 gondolas resembling the London Eye, at a cost of £750,000. Smaller places of worship in the city include St Jude's Church in Southsea, St Mary's Church in Portsea, St Ann's Chapel in the naval base, and the Portsmouth and Southsea Synagogue, which is among the oldest synagogues in Britain. Portsmouth F.C. play their home games at Fratton Park. They have won two Football League titles (1949 and 1950) and won the FA Cup in 1939 and 2008. They returned to the Premier League in 2003. In 2010 they were relegated to the Championship, and amid serious financial difficulties in February 2012, they were further relegated to League One. In 2013 Portsmouth were relegated again, this time placing them in the League Two, the fourth tier of English Football. In April 2013, Portsmouth F.C. was purchased by the Pompey Supporters Trust, becoming the largest fan-owned football club in English Football history. Portsmouth hosted first-class cricket at the United Services Recreation Ground from 1882, while from 1895 to 2000 Hampshire County Cricket Club matches were played there. This arrangement came to an end in 2000 when Hampshire moved all their home matches to their newly built Rose Bowl cricket ground in West End. The city is also home to four hockey clubs: City of Portsmouth Hockey Club, who are based at the University's Langstone Campus; Portsmouth & Southsea Hockey Club, and Portsmouth Sharks Hockey Club, who are both based at the Admiral Lord Nelson School; and United Services Portsmouth Hockey Club, who are based on Burnaby Road. Great Salterns Golf Club, established in 1926, is an 18-hole parkland course with two holes playing across Saltern lake. There are also coastal courses at Hayling, near the entrance to Langstone Harbour in the east and at the Gosport and Stokes Bay Golf Club to the west of Portsmouth Harbour entrance in Gosport. Local bus services are provided by Stagecoach and First Hampshire & Dorset, serving the city of Portsmouth and its surrounding towns. Hovertravel and Stagecoach run a bus service called the Hoverbus from the city centre to Southsea Hovercraft Terminal and The Hard Interchange, near the seafront. In addition, Countryliner runs a Saturday service to Midhurst in West Sussex, and Xelabus operate a Sunday open-top seafront summer service around the city as of 2012. National Express services from Portsmouth run mainly from The Hard Interchange to London Victoria station, Cornwall, Bradford, Birkenhead and Bristol. The city has several mainline railway stations, including Portsmouth & Southsea railway station, and Portsmouth Harbour railway station. Portsmouth lies on two different direct South West Trains routes to London Waterloo, via Guildford and Basingstoke. There is also a South West Trains stopping service to Southampton Central and a service by Great Western Railway to Cardiff Central via Southampton, Salisbury, Bath, and Bristol. Southern additionally offers service to Brighton, Gatwick Airport, Croydon, and London Victoria. Portsmouth Airport, an airport with a grass runway, was in operation from 1932 to 1973. After its closure, housing, industrial sites, retail stores, and a school were built on the site. Today, the nearest airport is Southampton Airport, situated in the Borough of Eastleigh, which lies 19.8 miles (31.9 km) away. The airport has an indirect South West Trains rail connection requiring a change at Southampton Central or Eastleigh. Heathrow and Gatwick are 65 miles (105 km) and 75 miles (121 km) away, respectively. Gatwick is directly linked by Southern train services to London Victoria station, while Heathrow is linked by coach to Woking, which is on both rail lines to London Waterloo, or by London Underground. Heathrow is directly linked to Portsmouth by National Express coaches. Portsmouth, along with Southampton and its adjacent towns, are served predominantly with transmissions from the Rowridge Transmitter on the Isle of Wight. Portsmouth was one of the first cities in the United Kingdom to have a local TV station, MyTV, although the Isle of Wight had a local television service in 1998. In November 2014, a new TV station, named That's Solent, was launched as part of a UK-wide roll-out of local Freeview channels in southern central England. The stations are broadcast from the Rowridge Transmitter. The city has been home to a number of famed authors. Most notably Charles Dickens – known for such works as Oliver Twist, A Tale of Two Cities, and The Pickwick Papers – was born in Portsmouth. Arthur Conan Doyle, author of the Sherlock Holmes stories, practised as a doctor in the city and played in goal for Portsmouth Association Football Club, an amateur team not to be confused with the later professional Portsmouth Football Club. Rudyard Kipling, poet and author of the Jungle Book, and H. G. Wells, author of War of the Worlds and The Time Machine, lived in Portsmouth during the 1880s. Sir Walter Besant, a novelist and historian, was born in Portsmouth, writing one novel set exclusively in the town, By Celia's Arbour, A Tale of Portsmouth Town. Sir Francis Austen, brother of Jane Austen, briefly lived in the area after graduating from Portsmouth Naval Academy. More contemporary Portsmouth literary figures include social critic, journalist, and author Christopher Hitchens, who was born in the city. Nevil Shute moved to Portsmouth in 1934 when he relocated his aircraft company to the city; his former home stands in the Eastney end of the island of Portsea. Fantasy author Neil Gaiman grew up in nearby Purbrook and the Portsmouth suburb of Southsea, and in 2013 had a Southsea road named after his novel The Ocean At The End Of The Lane. Olivia Manning's childhood was also spent in the city. Isambard Kingdom Brunel, a famed engineer of the Industrial Revolution, was born in Portsmouth. His father Marc Isambard Brunel worked for the Royal Navy and invented the world's first production line to mass manufacture pulley blocks for the rigging in Royal Navy vessels. James Callaghan, who was British prime minister from 1976 to 1979, was born and raised in Portsmouth. He was the son of a Protestant Northern Irish petty officer in the Royal Navy and was also the only person to have held all four Great Offices of State, having previously served as Foreign Secretary, Home Secretary, and Chancellor. John Pounds, the founder of the ragged school, which provided free education to working class children, lived in Portsmouth and set up the country's first ragged school in the city. Peter Sellers, comedian, actor, and performer, was born in Southsea, and Arnold Schwarzenegger lived and trained in Portsmouth for a short time. Several other professional actors have also been born, or lived, in the city, including; EastEnders actress Emma Barton, and Bollywood actress Geeta Basra, who originally hails from Portsmouth. Cryptozoologist Jonathan Downes was born and lived in Portsmouth for a time. Helen Duncan, the last person to be imprisoned under the 1735 Witchcraft Act in the UK, was arrested in Portsmouth.